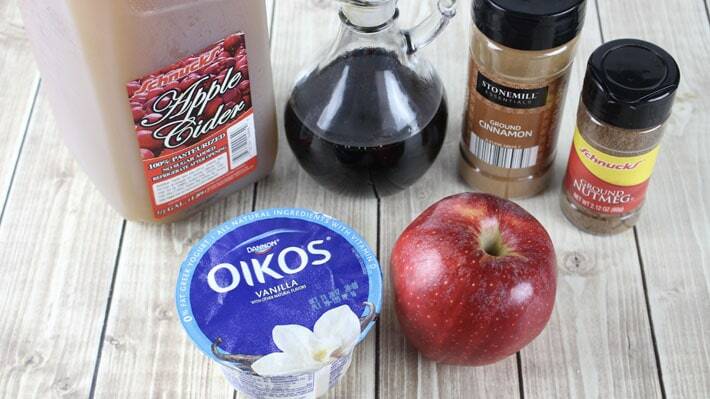 Apple Cider Smoothies are a simple and delicious drink to enjoy in the Fall, during the holiday season or year round. 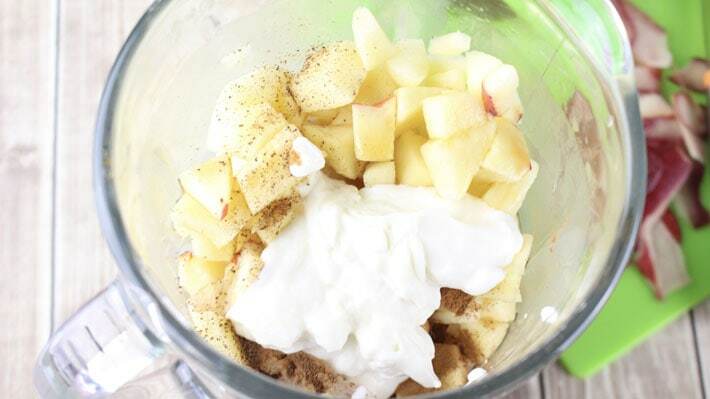 Diced fresh apples, honey, apple cider, cinnamon, nutmeg, and Greek yogurt combine to make the most delicious Smoothie! Apple cider vinegar is made from fermenting apple cider and contains bacteria and acids that provide many health benefits. Cinnamon contains anti-inflammatory properties and is one of the most healthiest and delicious spices. 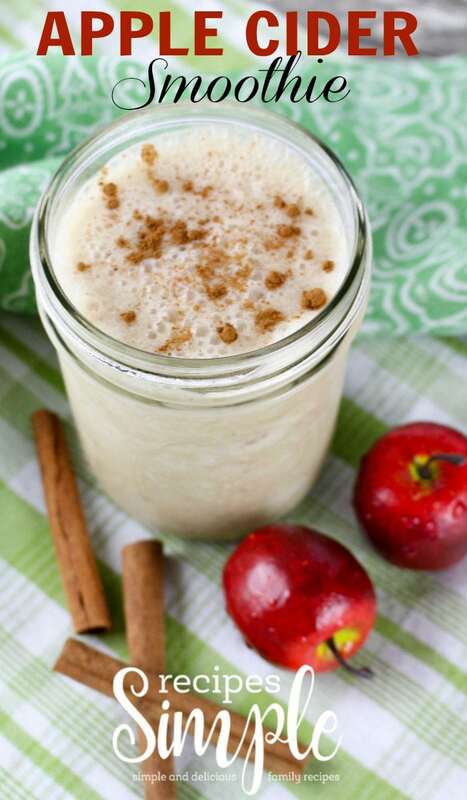 So I don’t feel so guilty enjoying this refreshing Apple Cider Smoothie! Gather your ingredients to start making this yummy smoothie! Crush the ice in the blender and then add the rest of the ingredients. Blend until smooth and creamy. 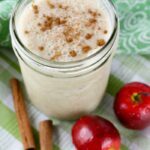 Diced fresh apples, honey, apple cider, cinnamon, nutmeg, and Greek yogurt combine to make the most delicious Apple Cider Smoothie! Crush the ice in a blender. Add the rest of the ingredients and purée until smooth and creamy. 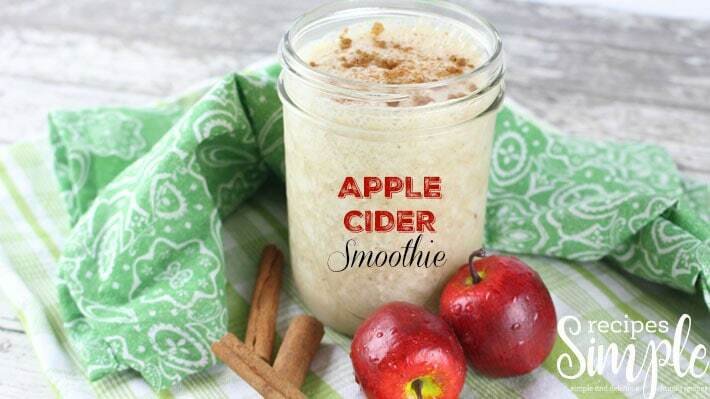 Pour into your serving glasses and garnish with a sprinkle of cinnamon.